Secrets, anecdotes, behind the scenes: One hour of total immersion, even backstage, where champagne and petits fours await you! 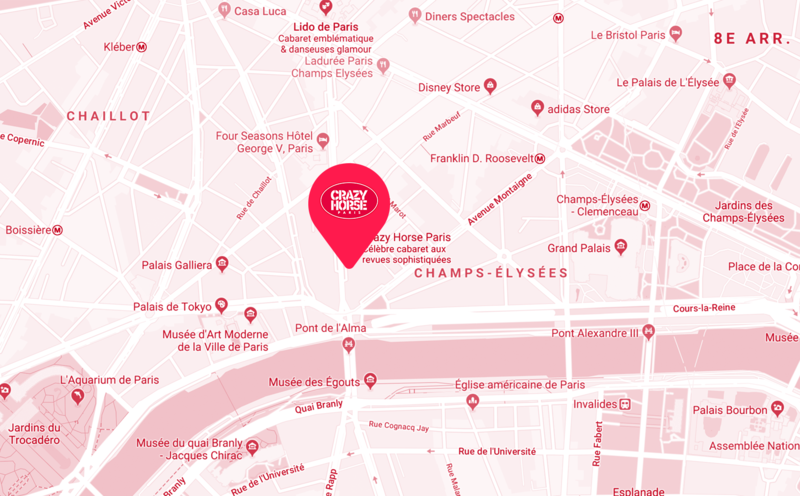 Since 1951 Crazy Horse Paris has been buidling a unique expertise that never ceases to sublimate its dancers and bewitch its audience. Let yourself be seduced by the subtle light effects, the graphic wardrobe and the original score of this creative and festive show. Stay tuned and receive our latest news ! Stay tuned and receive our latest news! You are using version of Internet Explorer. Unfortunately this version is not optimized for browsing this site.